It’s about 8PM and we are 20 km from Hannover. 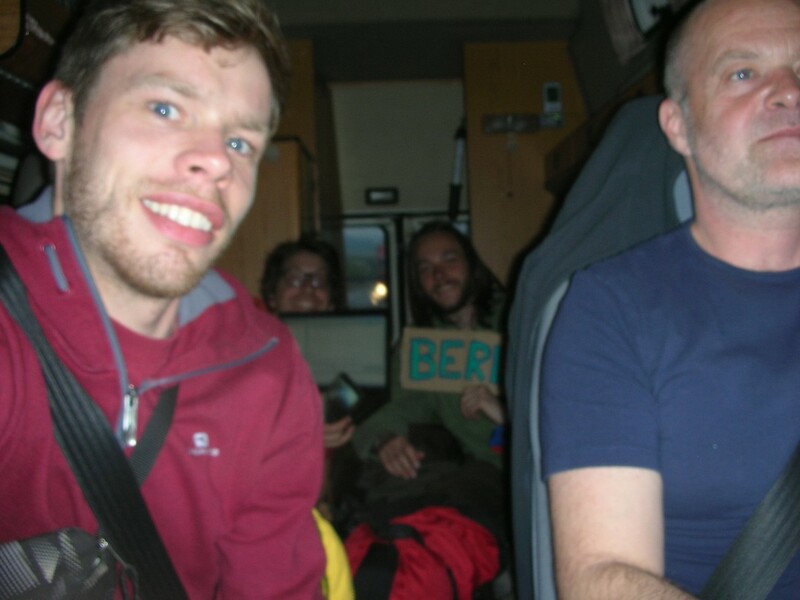 I’m now in the back of a “Hummercar 3″ mobile home that is driving us straight to Berlin. In four hours we will arrive in the capital so I have some time to write down the adventures of my first full day of hitchhiking. We got up around 7:30 this morning, had a couple of strawberries, filled my thermos with coffee and headed to Brecht’s favorite hitch hiking spot in Antwerp. We had to wait nearly 30 minutes before two Albanians who where driving from Milan to Amsterdam picked us up. They were on their way to score some typical local products there. While Brecht had an interesting conversation in Italian with the fellows which I didn’t understand, I decided to polish up my Russian a bit. 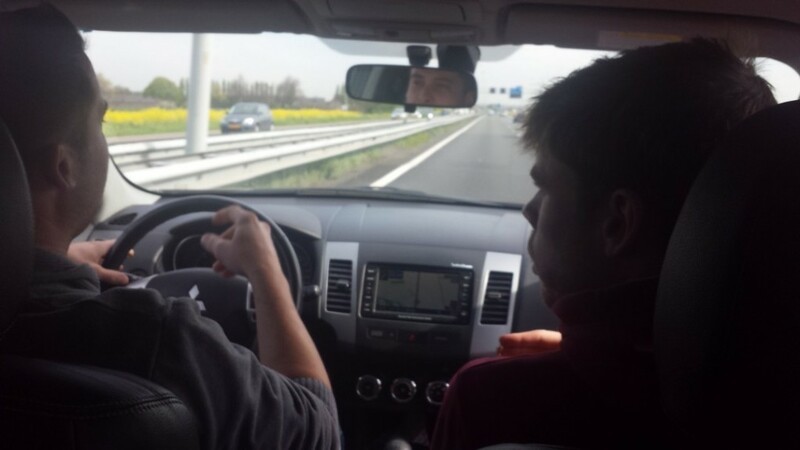 A couple of kilometers before Utrecht the amico’s dropped us at a small gas station. 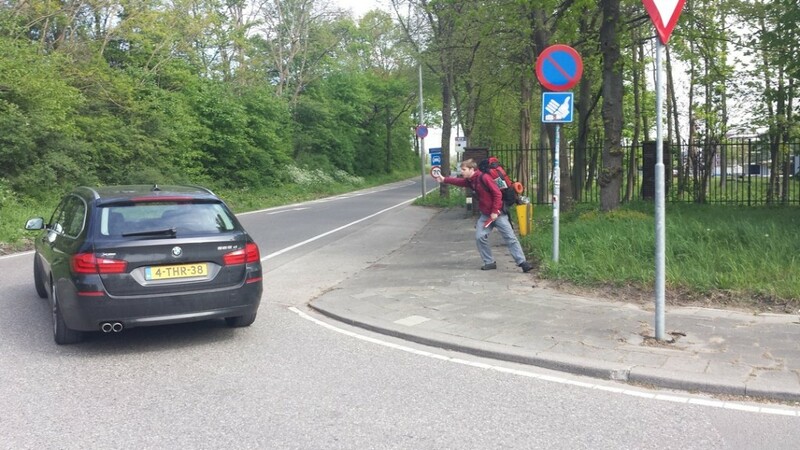 Immediately a sympathetic guy from Eeklo (near Ghent) rushed towards us and asked if he could give us a ride. 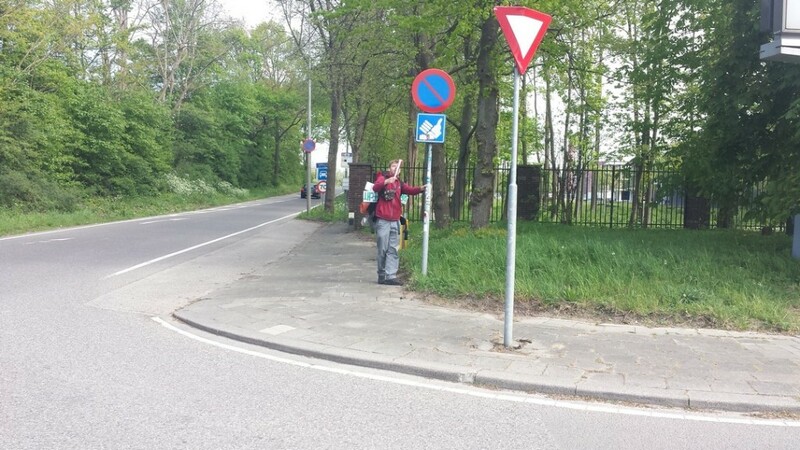 He claimed he could spot that we were fellow Belgians form the second he saw us. Not sure if that’s a good thing, but anyway, he didn’t mind driving a couple of kilometers off road to drop us at an Hitch hiking spot in Utrecht, that Brecht had read about on the internet. The hitch-hiking spot turned out to be totally worthless. Non the less we managed to get a ride after 20 minutes from Fons, a man in his early fifties who used to hitchhike a lot all around western Europe, and he proposed to take us out of this hitch-hiking hell hole, to a much better spot a couple of kilometers away. 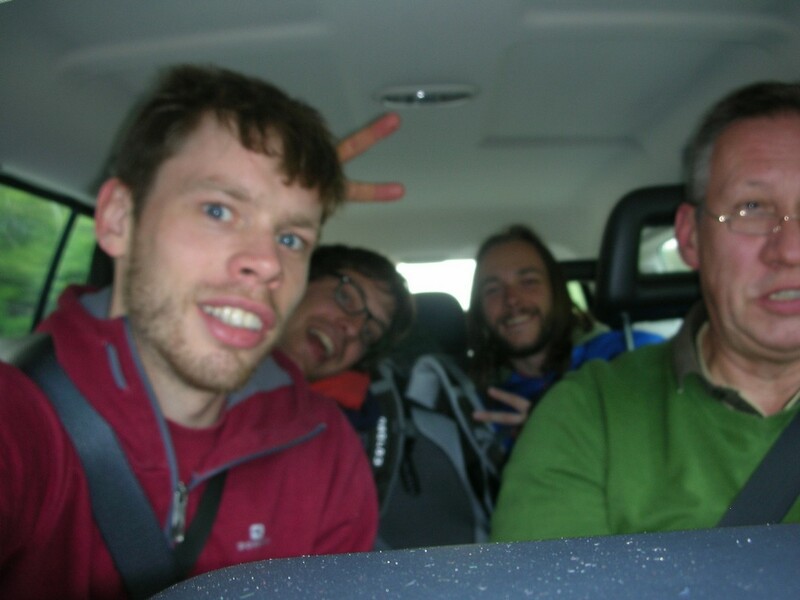 There we got a ride from Ruud, another guy who used to do a lot of hitch-hiking races with some friends himself and got us a lot closer to the border with Germany. He was already late for a meeting but he couldn’t help reliving some of the old days with us. 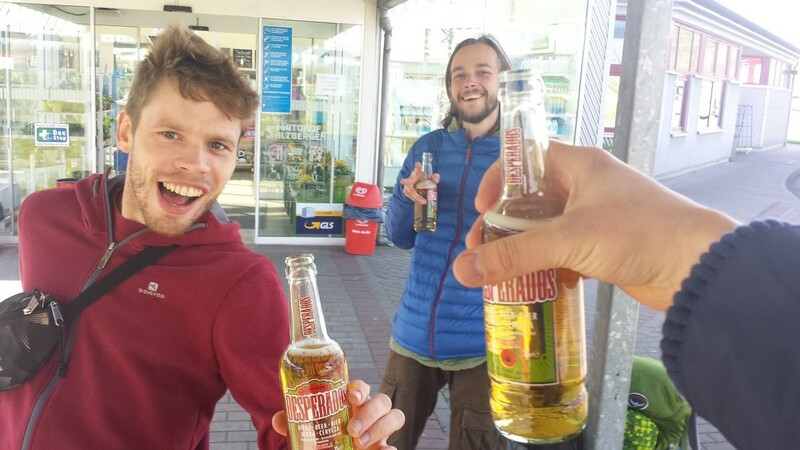 Ruud dropped us at another small gas station, so we had to go social again. A lot of people where refusing towards us and one super fat guy with a purple head only kept staring at us like if we were two turds when we asked him for a ride. Apparently people were scared we would be carrying drugs and they didn’t want to take the chance to cross the border with us. Finally we spotted a young fellow who fell for Brecht’s charms immediately. Brecht greeted him enthusiastically with the words “Dag jongeman! Rijdt u toevallig richting Duitsland?” (people who know Brecht will know exactly how this sounded.) Nick, that’s how the boy was called, had no place in the trunk for our luggage because it was completely occupied by a giant sub-woofer that really made his Andre Hazes songs bang. A couple of gas stations further, Nick dropped us off and we immediately got a ride from from an introvert business man with a lot of stress twitches. He could bring us only about 20 km further and was conf calling most of the time, so there’s nothing much else I can say about him. I didn’t even get his name. 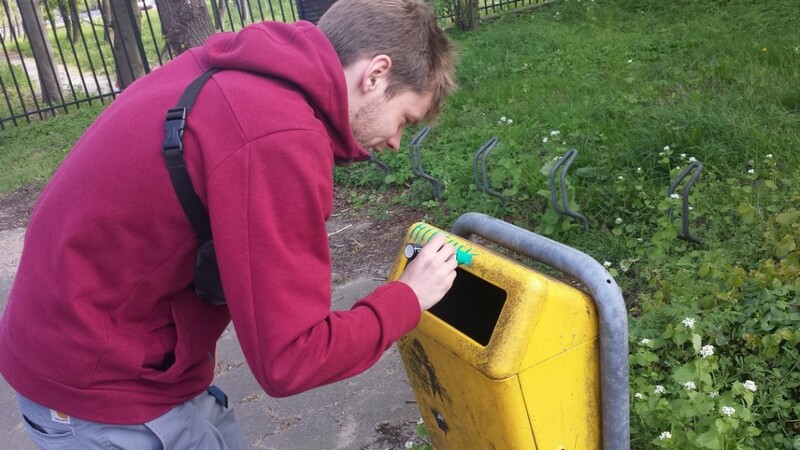 Now we were really close to the border, and after the usual worried faces, we found a guy name Felix. While he was inside paying for the petrol we spotted another hitchhiker. We waved him over and we immediately connected. We asked Felix if we could take him with us too. That was okay. 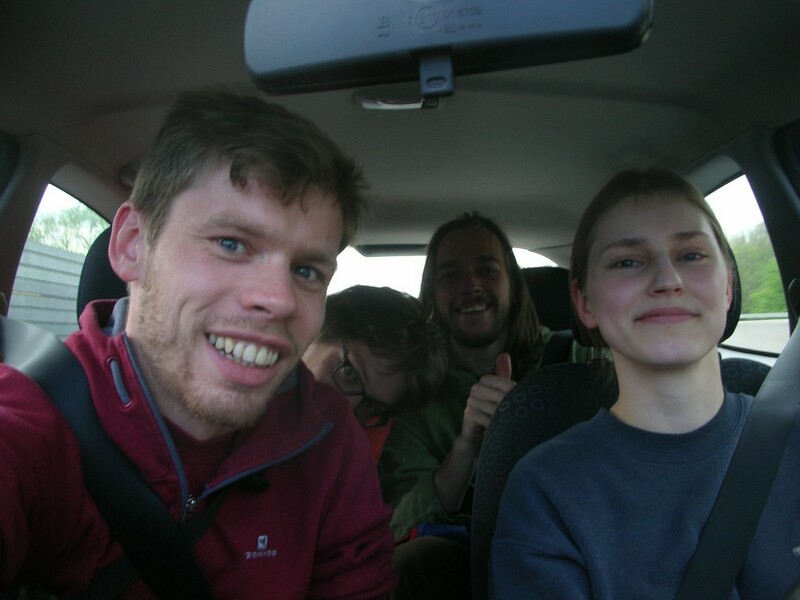 Felix was used to pick up loads of hitchhikers and only a week ago he managed to stuff four backpackers into his car. So after we all pledged we weren’t carrying any drugs we where good to go. 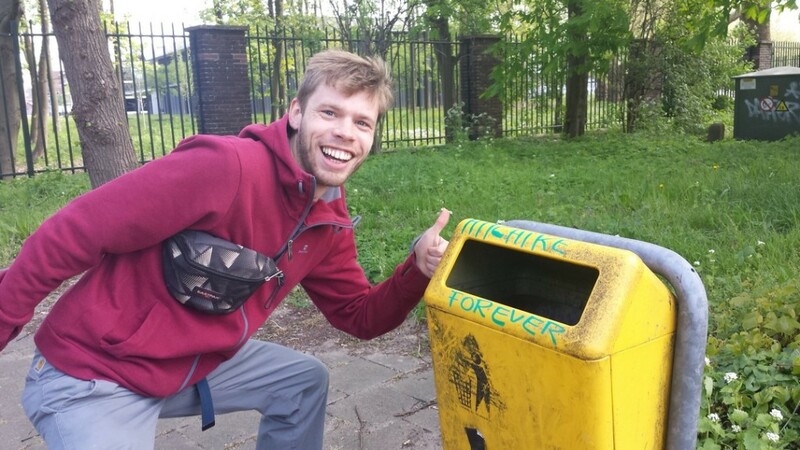 Together with our brand new buddy: Donald. 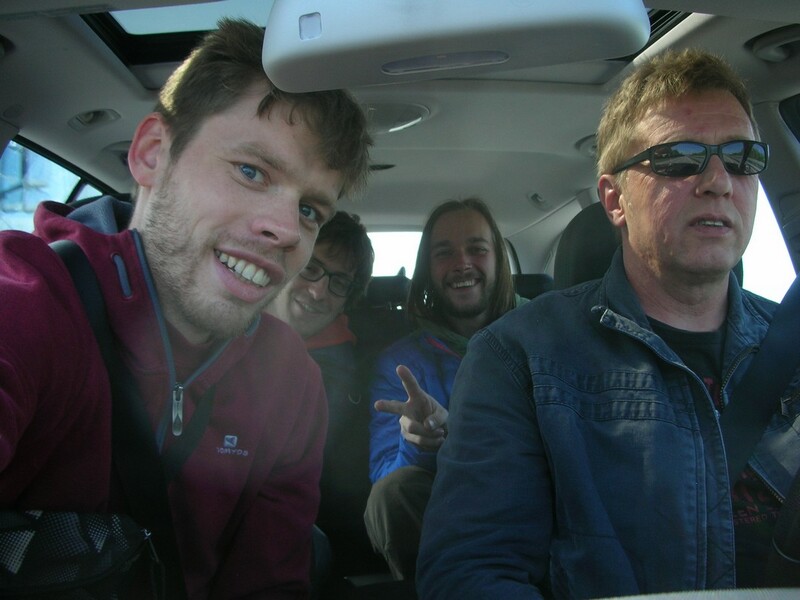 Brecht also decided to start taking a dashboard selfy of every ride we would get from this point on. We crossed the German border at 3 PM sharp. At the Autohof where we were dropped of it was hard to get a ride. Mainly because most people were heading in the other direction and because we were a little tipsy from the Desprados and because we were now three instead of two. 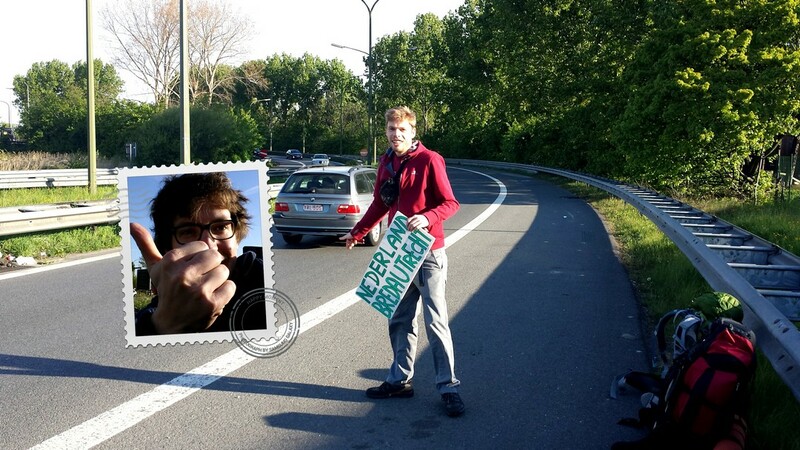 We decided to move towards the ramp of the freeway in the direction of Hannover. After a while we managed to get a ride from a Jeep owner called Heinz. Heinz could understand Hollands (the kind of Dutch they speak in Holland), but no Flemish (Belgian Dutch), because Laag-Deutch resembles the kind of Dutch people speak in Holland. So I did my best to speak Hollands the best I could, while trying to not offend Donald too much. After a while we got dropped of at another pretty bad hitchhiking spot. After a couple of minutes somebody pulled over with screeching tires. Friederika was a super nice girl with a very small car, but she didn’t mind stuffing her car with three strangers and an equal amount of enormous backpacks. She had never picked up hitchhikers before but she had seen some hitchhikers at the exact same spot a week ago and she had promised to herself that the next time she would see someone hitching there she would give them a lift. Not exactly sure why.. We managed to cover 100 km in her car and then got dropped of at another autohof. We grabbed some Mc Donalds there cause we were starving, and drank a couple of beers afterwards. At this point we were less than 400 km away from Berlin and we got a bit too euphoric. This resulted in no-one picking us up for almost 40 minutes. But that was okay, we weren’t really trying hard anyway. After a while our beers were empty and we saw some rainy clouds come our way. That’s when we decided to use all of our hitchhiking powers again and managed to get a ride from the awesomest vehicle I have ever seen: Tarsten’s Hummercar 3!